Have been recording our debut album all week. Tough work, but managed to find the time to snap a photo of my Dark Lord having a nap in its casket! Where is everybody, why no more action in the club? Its hard though, they are quite expensive... does anyone know of a good deal? 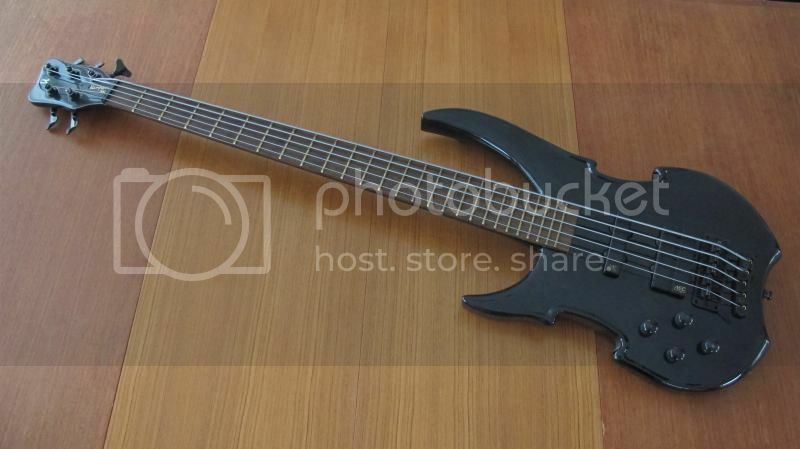 Just bought my first bass, Warwick Rockbass Vampyre, 2005. After playing for years 6 strings guitars, and a 10 years break, decided to try a bass. With this money, I think it's the best sound+look bass ever. Hope we'll become best friends! but first will clean it up, I found it lost in somebody's garage. But it's in pretty good condition. Was used probably by a beginner, because I found it with a totally wrong truss rod, actions, Intonation adjustments. Waiting now for few packs of Warwick strings. This days I'm changing the strings, and would like to clean it. I guess, the body, as it's laminated, don't need anything special for clean. Assuming wenge fretboard, some lemon oil followed by wiping with a rag. I have used for my electric guitar Dunlop 65, so guess for Vampyre will work too, right? Thought, maybe Warwick recommends something special for the wood they use for fretboards. Nothing new, just snapped a few, new pics of the bloodsucker. I`m gonna put out some new soundcloud-samples in the review-section over the weekend. I'm in. Arrives tomorrow. Can anybody tell me how these compare to a thumb or streamer nt? Can anybody tell me how these compare to a thumb or streamer nt? 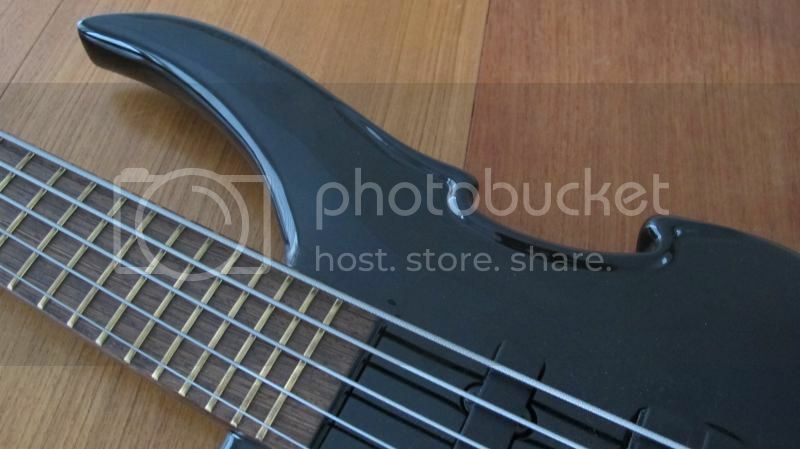 The neck pickup is in roughly the same spot as a 4-string Thumb's. The bridge pickup is useless on its own IMO, but it's in a similar spot to a 4/5-string Thumb's bridge pickup - if you're familiar with the sound of a 4-string Thumb, you won't be too startled. You can solo one of the coils on the bridge pickup; something Warwick bizarrely calls "splitting". My Vampyre solo'd the bridge side of the bridge pickup, which is literally right next to the bridge. Completely useless. I flipped the pickup - now it's roughly in the spot as a Streamer's bridge pickup (4-string stage 1, or SSII/LX). Still gargly and thin, but not NEARLY as bad as it was before. That's strange, sounds pretty good solo'd on the bridge in andy Irvines review video. It's hard to tell exactly how it will sound from youtube though. I'll post my own review this weekend. The tension is killing me... the wait! I think it sounds like a gargling alien, but that's just me. Sounds like the Hellborg. Do you have a good pair of headphones? 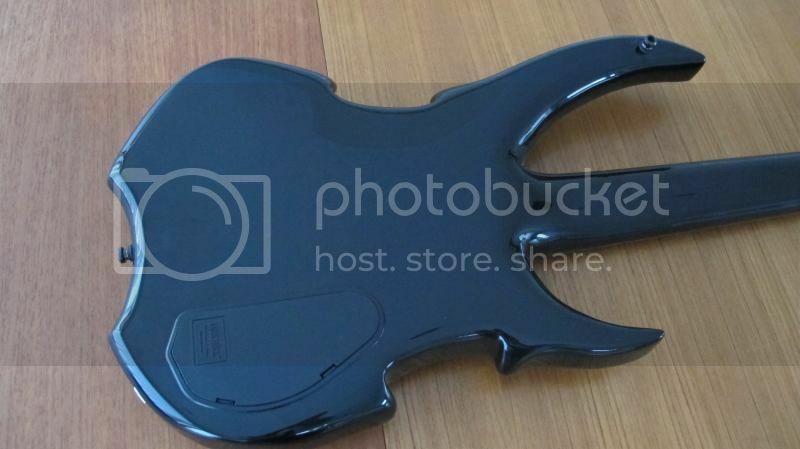 Listen to it vs. the neck pickup clips, and hear the bottom disappear. That does make sense. I NEVER use the bridge PU by itself on a thumb, but it sounds like if the bridge PU on the vampyre is just a hotter thumb bridge, then i'd probably keep the PU blend centered 90 percent of the time. The ONLY thing I didnt like about the streamer SSII was that it was unusually bassy no matter what you did with an amps EQ, pickup height etc. The good thing was that all that bass was centered at around 100hz so it never bothered me, and cut through like a crazy. I was always searching for a little more Hi-mid with the Streamer...and anything above the 17th fret was unaccessible due to the neck joint. I imagine the Vamp will EQ very differently from the streamer, with a gotter "lead" sound like my dolphin had.